Alex Shrimpton is running a phenomenal 250 miles over two weeks to raise awareness and money for Juvenile Arthritis Research. 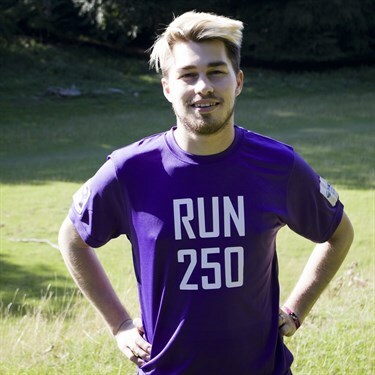 From 23 September to 7 October 2018, Alex will be completing an average of 18 miles every day. His run will culminate in the Tonbridge half-marathon on 7 October. Donating with give.net is really easy and completely secure. If you are a UK taxpayer, please confirm that you would like to reclaim Gift Aid on your donation. This will add 25p to every £1 you give. Thanks for visiting! Thank you for supporting Alex and helping him beat his target. He completed his run on 7 October. More information is available at www.jarproject.org (click on the news tab). 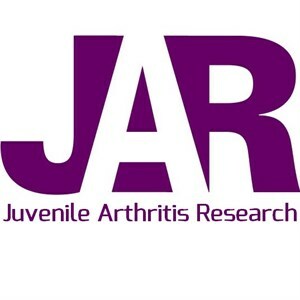 Juvenile Arthritis Research (JAR) is a project supported by the Jabez Charitable Trust, and every penny raised through this Give.net profile will go to the JAR Project. JAR is committed to searching for a cure for Juvenile Idiopathic Arthritis. Juvenile Idiopathic Arthritis is an autoimmune disorder affecting children and young people where the body starts to attack the joints, causing inflammation, pain, discomfort and reduced mobility. Left unchecked, it can lead to other health conditions as the immune system attacks organs, as well as permanent disability and long-term health implications. Many children with Juvenile Idiopathic Arthritis suffer from uveitis, where the immune system attacks the eyes; if left untreated this can lead to permanent vision loss and blindness. Juvenile Idiopathic Arthritis is a different disease to adult-onset rheumatoid arthritis, and entirely different from age-related osteoarthritis. It affects 1 in every 1,000 children under the age of 16. Nice one Alex we are so proud you for it! Well done Alex! What a massive achievement! Keep it up Shrimpy. Good effort so far, you're almost there bro. May God bless your body and spirit as you go through this. Go Alex. You’re going to crack this - no problem!